In the early 2000s, Liberian women wearing wrap skirts, white T-shirts, and shouting: We want peace, no more war , attracted international attention. After almost fifteen years of civil war, the enduring active, multifaceted, and non-violent campaigning for peace by women s organisations contributed to the end of the fighting and the signing of a peace agreement between the warring factions. Although it is widely assumed that women s inclusion in peace processes yields greater attention to women s issues and needs in the aftermath of a conflict, this is only partly the case in Liberia. Thus, this analysis looks beyond the extraordinary commitment by women in Liberia and deals with the questions to what extent their role in the peace process has contributed to gender-sensitive outcomes in post-conflict Liberian society and why greater gender sensitivity was not achieved. 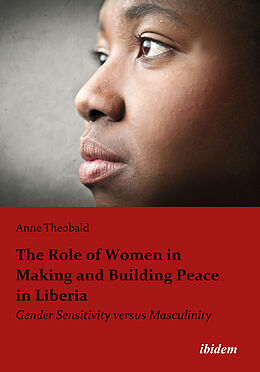 By focusing on manifestations of patterns of masculinity in the public and private spheres, Anne Theobald identifies factors at different levels of analysis within different time frames that elucidate the unexpected outcome. Not only does this provide for a more encompassing understanding of dynamics of gender relations and context-specific variables impeding gender sensitivity in post-conflict settings, but it also helps to refine prevailing theoretical approaches on gender in peacemaking and peacebuilding and to develop more holistic, context-specific, and efficient policy approaches, which can effectively lead to gender-sensitive peace.  Anne Theobald is currently working on her PhD and as a research associate at the Collaborative Research Centre 923 "Threatened Orders" at the University of Tuebingen. She studied Political Science, European Studies, and Economic Policy at the University of Muenster and the Institut d&apos;Etudes Politiques in Lille and holds a Master&apos;s degree in African Peace and Conflict Studies from the University of Bradford. Her main research interests are armed conflicts, non-state armed groups, political violence, peacebuilding, and gender in (post-)conflict situations. Her regional focus is on Sub-Saharan Africa.